WhyOne Step Checkoutis so Powerful?
" I bought the one page checkout for my Magento store - absolutely brilliant! My client and I were so impressed by it. Fantastic! " " Fast and easy checkout extension, impressive. The best i have seen so far. I am recommend this for all web shops. " " Great Extension! The must have Extension for a Magento ecommerce store, at my store sales improvement of 25%. " "Geo IP" feature - Automatically detects the country and city. 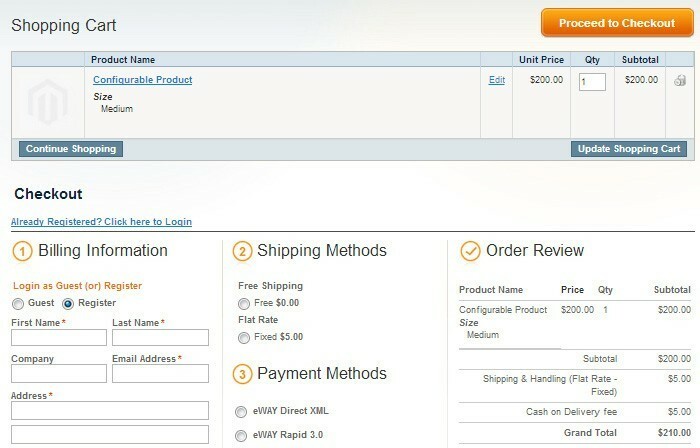 Option to place the checkout page in the cart page itself - the checkout page can be made available in cart page (below the cart page) or the checkout page can be made available in a separate page after checking the cart page. Enable or Disable Discount coupons on checkout page. 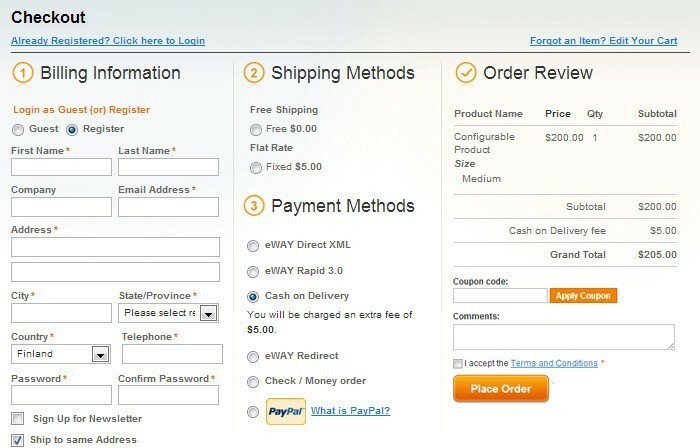 Set default shipping and payment methods. Enable/disable fields like Company, Country, City, Telephone, Fax, Region, Street or zip. Easy-to-customize the design of “onestepcheckout extension” with separate CSS and layout form. 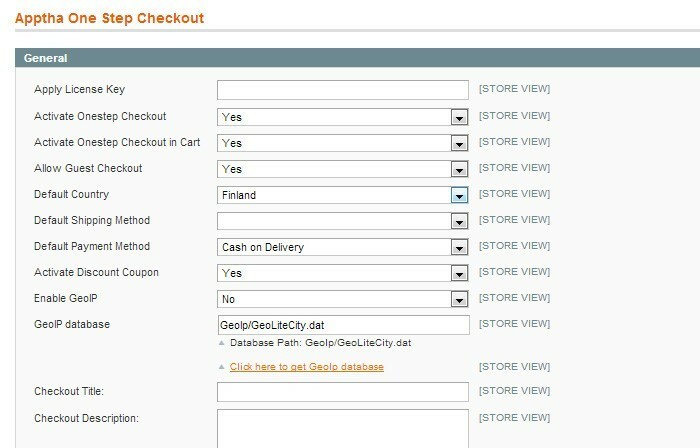 Enable or Disable Onestepcheckout in cart page. Enable or Disable Comment, Terms and Condition and Geo IP. Address book to save addresses and use as and when required during checkout. Auto-update - saves time for customers to fill in data such as prices, total, taxes, etc., when customer changes the shipping/payment method. Why i'm choosing this extension because most of the checkouts ask to fill the complicated steps including payment options, but here i found the checkout in one step and fast as well, surely this will be the good choice for ecommerce stores to solve the cart abandonment problems. my store reached better conversion rate due to this easy checkout. Basically customers like to do online shopping in a simple way. major drawback to turn up a visitor into customers. My Ecommerce store also got struck with this, because of the check out process. Then I came to know that one step check out is a good solution to solve this issues. Bought it from apptha and installed it on my website, now the complicated order booking changed as a simple one and my sales too increased. I had a small techie problem on installing this extension and to resolve this issue, I've dialed the customer support team. They gave high priority and solved my issue within a hour. I personally thank apptha for their great effort, For prize comparison, it's an affordable and the best one. In the performance basis, the features are very good and one thing i want to mention here, I missed the feature of customer option to set the delivery date. but totally i satisfied with this product. One step checkout plugin is quite useful one. It is cost-effective, has no visible or interrupting bugs. Using them for a while and no crashes or problems yet. Am happy since my sales have improved a little although not heavily. I am recommending this product with full satisfaction. It's a recommended checkout for eshops. Works fine. I checked my store conversion rate, it gradually increased. Live demo helped me to get this valuable product. I would like to thank apptha for this worthy product. My friend suggested this. It"s a simple checkout for my online store. Now the shopping cart abandons are rectified by this extension. I am the IT Director for a large supplement company within the US. 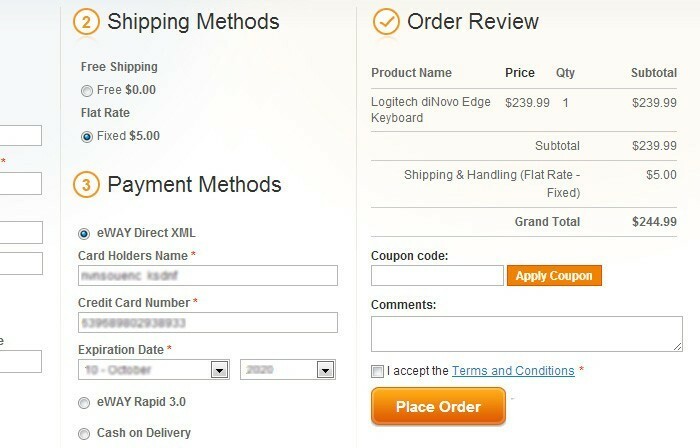 I wanted to implement the One Step Checkout to increase conversions. I don't have the time to look through the extension and fix errors. Apptha developers responded so quickly I couldn't keep up with the emails. They fixed the error with my site and had it up and running within hours. No problems afterwards and the extension works great!! Thanks for the help guys. I have purchased this one page checkout and integrated in my site. But there was a problem with cardsave online payment gateway. I have contacted the support team and they have fixed the issue quickly. Their support was great.